With a cast that includes David Tennant (Broadchurch, Dr. Who) Jack Lowden (War & Peace, Dunkirk, Tommy's Honor) Joe Alwyn (Billy Lynn's Long Halftime Walk, The Sense of an Ending) and Guy Pearce, the film was scripted by Beau Willimon (House of Cards, The Ides of March) based on the biography My Heart Is My Own: The Life of Mary Queen of Scots by John Guy. The movie won’t be ready anytime soon which gives us all plenty of time to read the 600 page book. And for all of us wanting to see more women in film, the project is being directed by National Theatre director Josie Rourke making her feature film directorial debut. 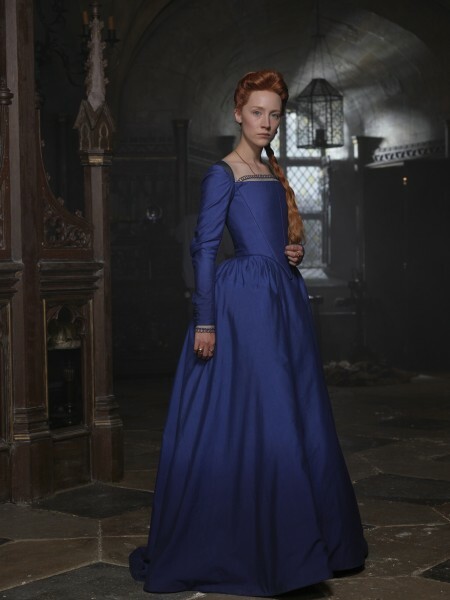 ‘Mary, Queen of Scots explores the turbulent life of the charismatic Mary Stuart. Queen of France at 16 and widowed at 18, Mary defies pressure to remarry. 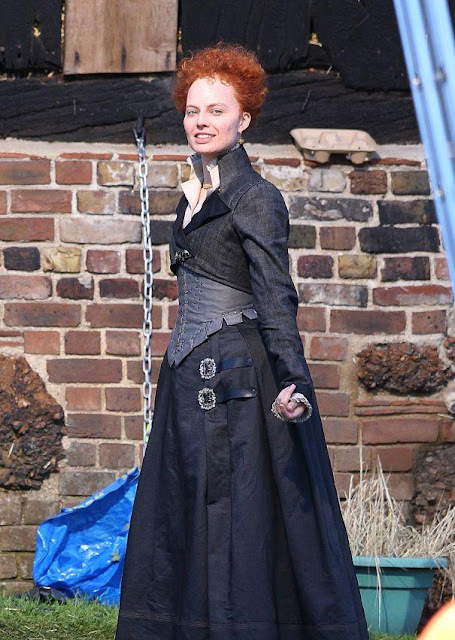 Instead, she returns to her native Scotland to reclaim her rightful throne. But Scotland and England fall under the rule of the compelling Elizabeth 1. Each young Queen beholds her “sister” in fear and fascination. Rivals in power and in love, and female regents in a masculine world, the two must decide how to play the game of marriage versus independence. Determined to rule as much more than a figurehead, Mary asserts her claim to the English throne, threatening Elizabeth’s sovereignty. Betrayal, rebellion, and conspiracies within each court imperil both thrones – and change the course of history. 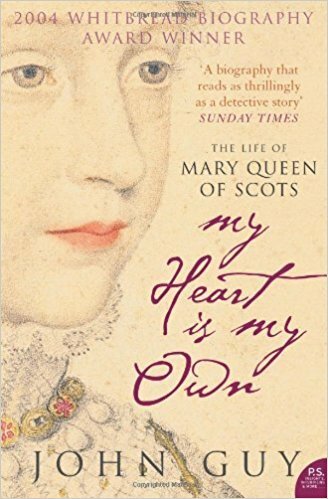 ‘A long-overdue and dramatic reinterpretation of the life of Mary, Queen of Scots by one of the leading historians at work today.She was crowned Queen of Scotland at nine months of age, and Queen of France at sixteen years; at eighteen she ascended the throne that was her birthright and began ruling one of the most fractious courts in Europe, riven by religious conflict and personal lust for power. She rode out at the head of an army in both victory and defeat; saw her second husband assassinated, and married his murderer. At twenty-five she entered captivity at the hands of her rival queen, from which only death would release her.The life of Mary Stuart is one of unparalleled drama and conflict. From the labyrinthine plots laid by the Scottish lords to wrest power for themselves, to the efforts made by Elizabeth's ministers to invalidate Mary's legitimate claim to the English throne, John Guy returns to the archives to explode the myths and correct the inaccuracies that surround this most fascinating monarch. He also explains a central mystery: why Mary would have consented to marry - only three months after the death of her second husband, Lord Darnley - the man who was said to be his killer, the Earl of Bothwell. And, more astonishingly, he solves, through careful re-examination of the Casket Letters, the secret behind Darnley's spectacular assassination at Kirk o'Field. With great pathos, Guy illuminates how the imprisoned Mary's despair led to a reckless plot against Elizabeth - and thus to her own execution.The portrait that emerges is not of a political pawn or a manipulative siren, but of a shrewd and charismatic young ruler who relished power and, for a time, managed to hold together a fatally unstable country. MY HEART IS MY OWN is a compelling work of historical scholarship that offers radical new interpretations of an ancient story. Find out what fellow Anglophiles are up to at Joy Weese Moll’s weekly meme. This looks fun. Have you seen the series Reign? I'm about half way through the second season, but got sidetracked when I realized I was behind on Doctor Who. It's so hard to keep up, isn't it?